Has God Seen My Shadow, the 3XLP Mark Lanegan anthology compiled by Light in the Attic Records, does not attempt to paint a complete picture of the man who became almost famous with the Screaming Trees in the ’90s. More than three LPs would be needed to collect even a sample of his solo work since 1990, his time spent with Queens of the Stone Age, his collaboration with the Afghan Whigs’ Greg Dulli as the Gutter Twins, his three folk albums released with Belle and Sebastian’s Isobel Campbell, his work with electronic musicians like Soulsavers and Moby, and, Screaming Trees, the Seattle grunge band with which he began his career. This compilation doesn’t even include material from his last three releases — The more electric and eclectic Blues Funeral (2012), his album with English bluesman Duke Garwood (Black Pudding, 2013) and the covers album, Imitations (2013), done in standard singer-songwriter mode. Instead, by focusing on Lanegan, the folk and blues desperado, Has God Seen My Shadow seeks to validate contemporary comparisons to some of the greatest male songwriters of our time, like Tom Waits and Nick Cave. It’s an argument which would have been lessened had Light in the Attic gone full Lanegan, at least, that’s the working theory. Beginning with 2004’s Bubblegum, and maintaining a reverse chronological order from the there, the first two LPs paint Lanegan as a quiet, sturdy man in work boots and flannel, one with a battered soul, but one with a voice whose resilient huff and crank of whiskey and cigarettes, can steadily climb any hill. The songs are dusty and desolate, not the old west of Hollywood with tired sheriffs, good-hearted wenches and mysterious strangers, but a western landscape of vastness, where a man’s thoughts are the true harbingers of doom. Those new to Lanegan’s work, meanwhile, will delight in finding that outlaw streak of his date back to the early-to-mid ’90s. Bits of Lanegan’s solo persona were revealed on Screaming Trees’ ballads like “Dollar Bill,” Look at You,” and “Sworn and Broken, but they become more in focus here, as the music is pared back to the essentials of man and guitar. The third LP, a collection of unreleased tracks, displays a surprising amount of consistency and continuity. Both Lanegan’s cover of John Cale’s “Big White Cloud,” and the original, “Halcyon Daze” could have fit snugly on any of his previous releases where darkness roamed. The biggest surprise, however, is saved for the end. 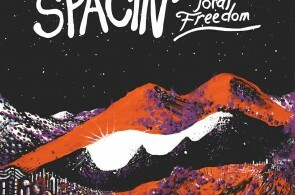 On a live recording of the Jackson C. Frank standard, “Blues Run the Game,” a guitar misfires into a grunge solo. Lanegan shakes it off with a laugh and a quip during what could have been an uncomfortable break during the show. Who knew he was such a warm and genuine gentleman? There are other sides of Lanegan missing from this collection, too. 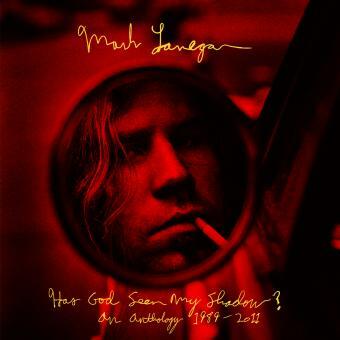 So much so, the very existence of Has God Seen My Shadow all but requires a second Mark Lanegan collection to be released, this one to focus on his rock and electronic work. Let’s start with 1990’s “Where Did You Sleep Last Night” with Nirvana’s Kurt Cobain, 2004’s “Methamphetamine Blues” and 2012’s “Harbourview Hospital.” Then, we can really get into the argument of Lanegan as one of the all-time greats.